The epic Anglo-Saxon legend is brilliantly recreated by an award-winning author/illustrator team. In fifth-century Denmark, a murderous monster stalks the night, and only the great prince of the Geats has the strength and courage to defeat him. 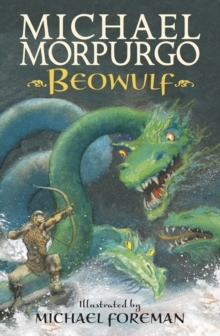 Beowulf's terrifying quest to destroy Grendel, the foul fiend, a hideous sea-hag and a monstrous fire-dragon is the oldest surviving epic in British literature. Artfully retold and magnificently illustrated, this companion volume to Sir Gawain and the Green Knight is made instantly accessible to children by a formidable children's book partnership.